CW-3000 series thermolysis type water cooler has compact design,with energy saving,high cost performance,good protection and alarm system. It's mainly used on the equipment for heat exchange between the heat and the air environment. The water temperature of cw-3000 cooler is related to ambient temperature, so it's thermostat is not manually adjusted. • Equipped with alarm output port. 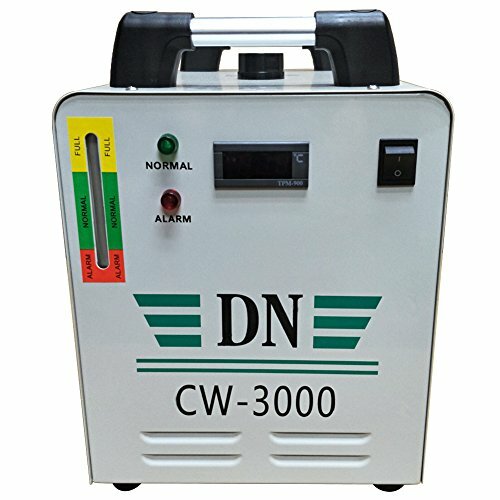 CW-3000 laser water chiller is suitable for small water cooling device. Water can be used for a long time.NO cooling function. High heat dissipating capacity and not easy to be blocked. Alarm output port can quickly protect sensitive components.Caution: It is strictly forbidden to plug and run the cooler without feeding water.